Kuo has declared that the 2019 iPhone lineup will retain the IP68 waterproofing, with no increase in intrusion protection —but no decrease either. The note was provided to Taiwan-based publication Economic Daily News on Monday morning, and no other information about the 2019 line was given. Apple made a big deal during the iPhone XS reveal that the company had put a lot of work into the waterproofing. IP68 waterproofing allows for water resistance of up to two meters for 30 minutes. 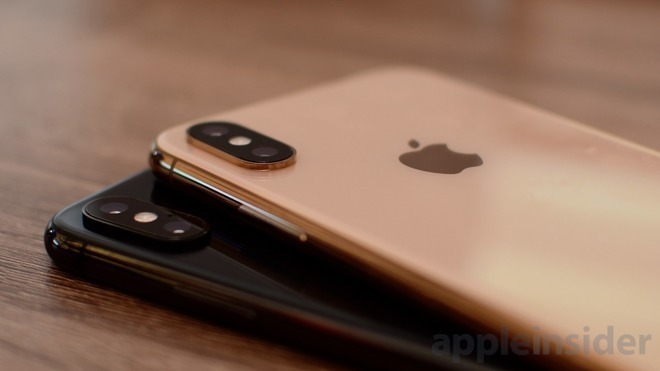 Other data previously predicted includes the continuation of Face ID in the line, as well as the company not looking to include a rear-facing 3D sensor or new rangefinder in the rear of the unit. TSMC is expected to be the sole supplier of the "A13" processor for the unit. Also expected in 2019 are a new HomePod model, "AirPods 2", and the complete death of 3D Touch across the iPhone product line.